Pop quiz: What contributes more to global warming, your house or your car? With all the hype about hybrid vehicles and high gas prices (hey, it comes and goes), you might be surprised to learn that the typical American home is the bigger offender—not your car. As technology marches forward and our lust for shiny gadgets grows, so has our electricity consumption. High-definition TVs, iPods, computers, and cell phones are all taking more power from the grid, as much as 15 percent more in many areas. And the cost of our techno-lust is going up—and it’s not just in terms of dollars. To be sure, running all those gadgets is more expensive. Electricity rates across the US increased by as much as 30 percent in 2008. A large part of that increase was due to rising energy costs, such as a 50 percent jump in the price of natural gas used to fuel many electric plants. Of course, those plants contribute to the greenhouse gas emissions (never mind how much coal-burning plants are churning out into the atmosphere). So reducing your electric bill will not only help the household budget but can also help save the planet. Fortunately, you don’t have to give up digital music and Sunday sports on your HD TV. Just being smarter about the high tech gear you buy and how you use it can make a difference. The advent of HD TV and plasma and LCD television technology has brought big screen TVs to many living rooms. True, when compared to sets of the same screen size plasma and LCD sets are much more energy efficient than old CRT sets. However, the new flat screens are much bigger than old tube sets, so they draw more power. But there are differences between flat-screen technologies. 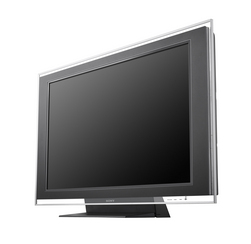 In tests, the average plasma flat screen, for example, can consume up to 350 watts versus a typical LCD display that consumes 213 watts. In economic terms, the per month cost of a 42-inch plasma set based on 8 hours a day of viewing at 13 cents per kilowatt hour is about $14.50. Compare that to an LCD set, which can cost as little as $4 a month for a larger 46-inch screen. LCD sets also generate much less heat than plasma flat panels, which means your air-conditioning doesn’t have to work so hard. And in case you don’t think your choice of a television set will make much of an environmental difference, consider that an estimated 36 million sets were sold in the U.S. alone in 2008. What about the rest of your home entertainment system? Use a Nintendo Wii for games. Sony’s PlayStation 3 and Microsoft’s Xbox360 draw about 190 watts each, versus the Wii, which takes just 19 watts of power.